Vance Thompson Vision wanted to empower its team members with the opportunity to present the “Gift of Vision” to someone they knew would truly appreciate new vision. 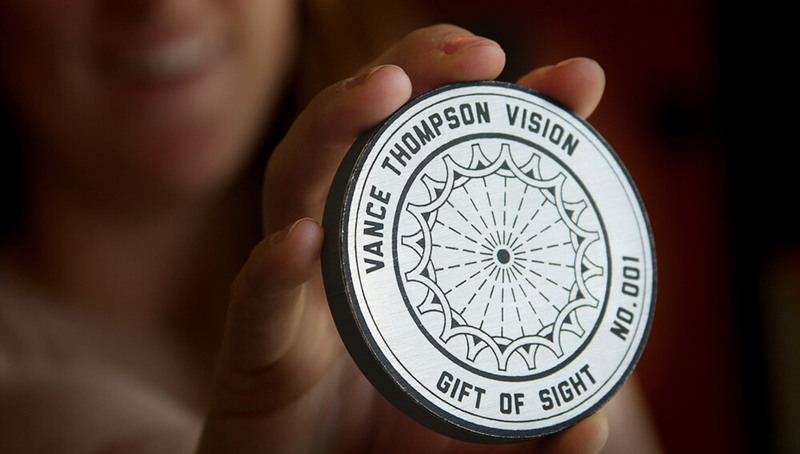 Although LASIK is an eye surgery, Vance Thompson Vision wanted a physical item to be the gift that would be redeemable for the surgery, in order to create the opportunity for a more meaningful gift presentation. Our team thought deeply about what makes items valuable. We considered size, weight, and color. We thought about how medals in the Olympics are considered valuable, even though they’re not pure metals. We thought about how trophies for prestigious entertainment awards like Oscars and Emmys aren’t only metallic, but heavy. And we thought about the action of redeeming tokens, and, as a gesture, we liked the symbolic opportunities with tokens. The decision to have eye surgery, even LASIK, is a big decision, and we wanted to convey that the decision to bestow the gift of vision was a decision that wasn’t taken lightly either. 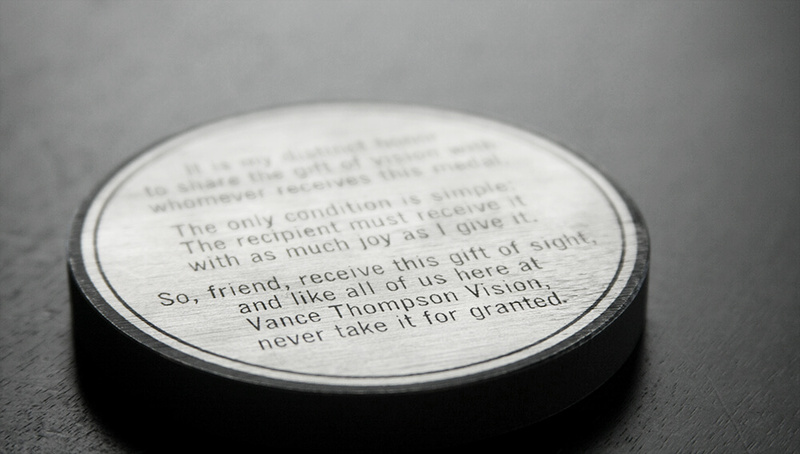 We created an engraved, metal medallion—weighted at nearly 1 lb—to be the token for the “Gift of Sight.” Holding the token is an experience in and of itself, because it appears to weigh less than it does. 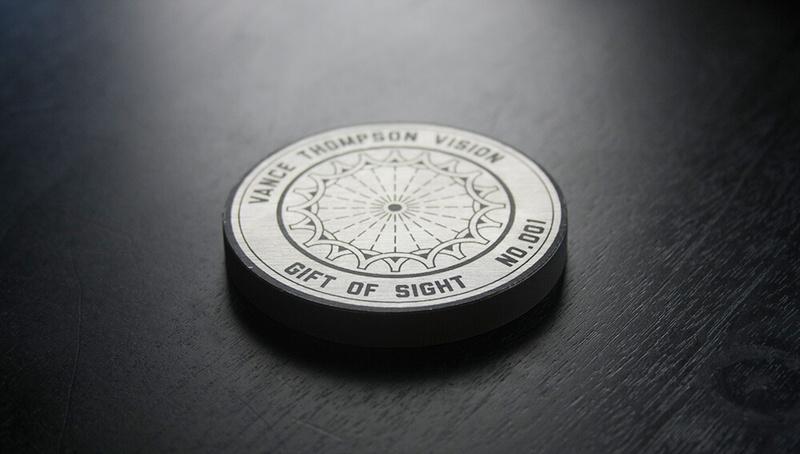 The weight of each token is a reminder of the sacred trust that patients have for the team at Vance Thompson Vision when they’re considering eye surgery, and it’s intended to symbolize the weight that will be lifted off the gift’s recipient when they have their LASIK surgery and no longer need to wear corrective lenses.